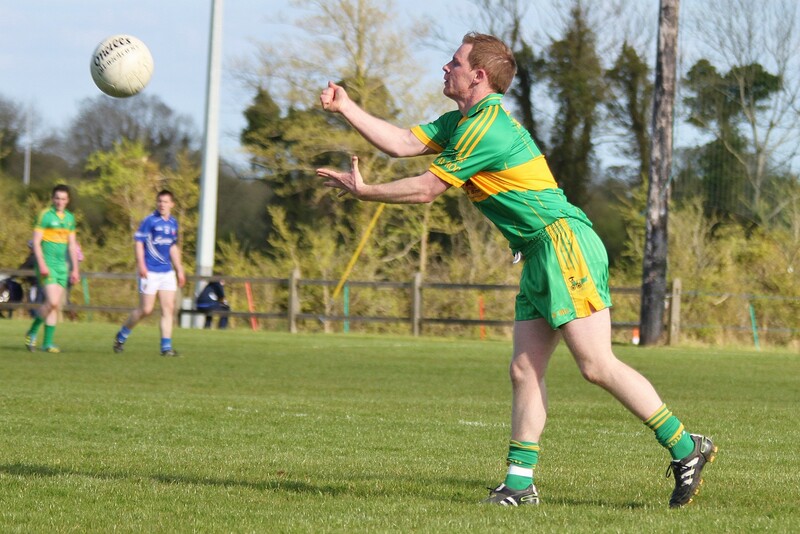 Rhode Intermediate footballers were beaten by Bracknagh in the fourth round on the Offaly Championship on Friday evening at a well presented Edenderry GAA ground narrowly on a 2-12 to 2-10. Bracknagh led at the interval by 1-5 to 0-3 in the first ten minutes Rhode missed a goal and two points. Rhode never really got going in the second half they received two black cards which didn’t help matters. With ten minutes to go Rhode rallied and kicked over a goal and four points but they just fell short on the day losing out by two points. Rhode Senior footballers maintained their unbeaten record in the league part of the championship when they had a 2-15 to 0-2 win over St. Rynagh’s in O’Connor Park on Sunday. Rhode led at the interval by 2-6 to 0-1 the goals coming from Conor McNamee and James McPadden. Rhode now play Kilcormac/Killoughey and a win will qualify Rhode for the semi-final as group winners.